Willie Nelson Mandela. A bit of Americana and Africana by heart but Welsch terrier by heritage. (Not so unlike his mama.) I found him in a shelter earlier this week and had to wait for those on a pedigree waiting list to have their pick. 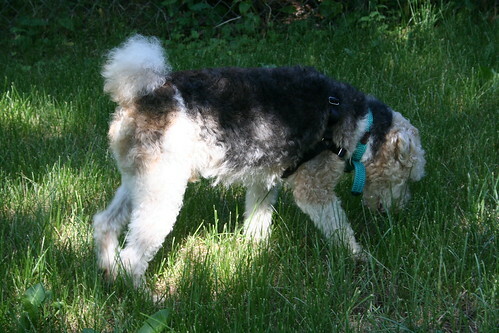 He was listed as a fox terrier. 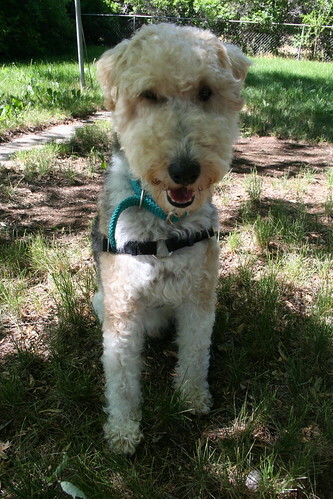 With a bit of research by my dog savvy friend Sheila, we realized he is indeed a Welsch terrier. Also? He’s perfect. The puffy white tail. The black back. The soft pads of his little feet. The way he smiles and looks so silly when you rub his belly. I am wildly in love. Oh, Nelson! The adventures we will have. Awww, yay Willie Nelson Mandela! I think his dog license number should be 46664-420. Nelson Mandela’s prisoner ID# and 420, well, ya know. He is so handsome! Congratulations, Mama! I cannot wait to read about his adventures! So happy for you! I can tell you that dogs make everything better! Congrats on the addition to your family. Omigosh, I’m so excited for you. Having an animal(s) to come home to makes a house a home and he’s a lucky little guy, for sure. Lots of hiking, car rides, and fun things in his future. Congrats on this momentous occasion. Perfect name, too? About how old is Nelson? He’s got a shitload of personality – look at that smile! He’s full up of awesome. Congratulations! He is ADORABLE and obviously a charmer. Welcome to the world of having a terrier-ist in your family! Your life will never be the same (but in a good way). My little terrier-ist is laid up by a country/city cross over accident. He spent the weekend running around the granite cliffs of Lake Tahoe and wore down his paws, then when he came home to the city he didn’t have protection from a little piece of glass on the sidewalk. Now he is being carried down a flight of stairs and across the street so he doesn’t have to work on hard surfaces. I look forward to lots of stories and pictures of Willie Nelson Mandela! He’s a lucky dog, I know you will spoil him! A home is not complete without a four-legged member of the family! I don’t know who is happier, you or Nelson! So happy for you, Kelli!! 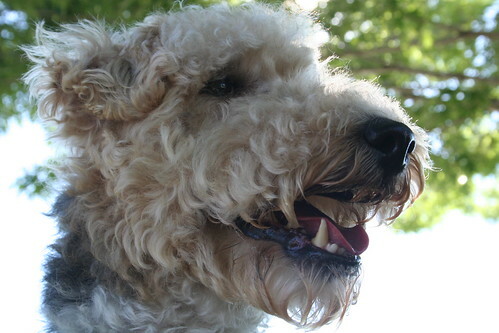 We love terriers! He looks larger (and softer) than a Welsh – how big is he? Nelson is one lucky puppy!!! Oh, he is a handsome boy! You will have a lot of fun together and I can tell by his smile that he has found his home! Shelter dogs are the best! Perfect name! So happy for you and for Willie. You will both enjoy each other! He’s such a cutie! Congrats, let the fun begin! Congrats again! I’m so happy for you! Looking forward to hearing/seeing your adventures together. 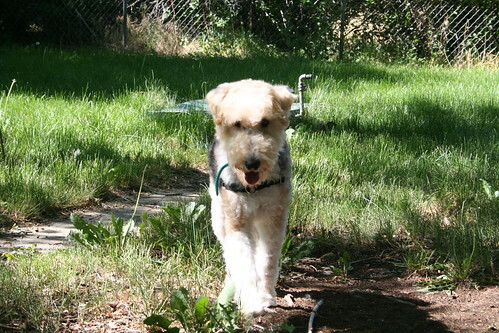 Welcome home handsome Nelson, and congratulations to you, sweet friend. Enjoy your life together! I am shedding tears of joy for you and Nelson. How beautiful! Oh the adventures you’ll have together…. Get ready, you’ll love him more every single day. Congrats to you both! 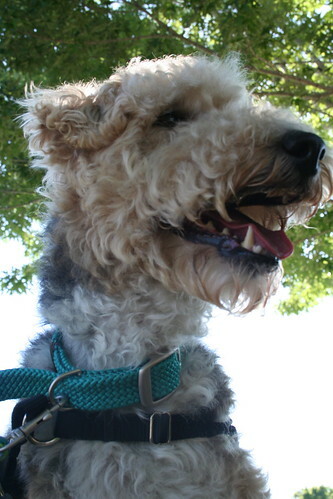 Enjoy enjoy enjoy – these are the best days – the ones with your pooch. Woo Hoo! You are now a true coloradian, dog and all. Enjoy all the adventures and snuggles ahead. Congratulations! My border collie (Maddie) changed my life. I know Nelson will do that for you, in all good ways!! aw he is such a cutie! congratulations on becoming a furmommy! Tonight, because of this news, when I upload my bodybugg, there will be a giant spike on my calorie expenditure graph, secondary to giddily jumping up and down with a succession of little happy eeks!!!!! Nelson has the cutest face! He is adorable! Isn’t amazing? The feelings!? Welcome Nelson!!!!! Awwwww….so happy for you!!! 🙂 He’s a lucky dog!!! Lucky girl, even luckier dog! So excited and happy for you and can’t wait to see what mischief you two stir up!